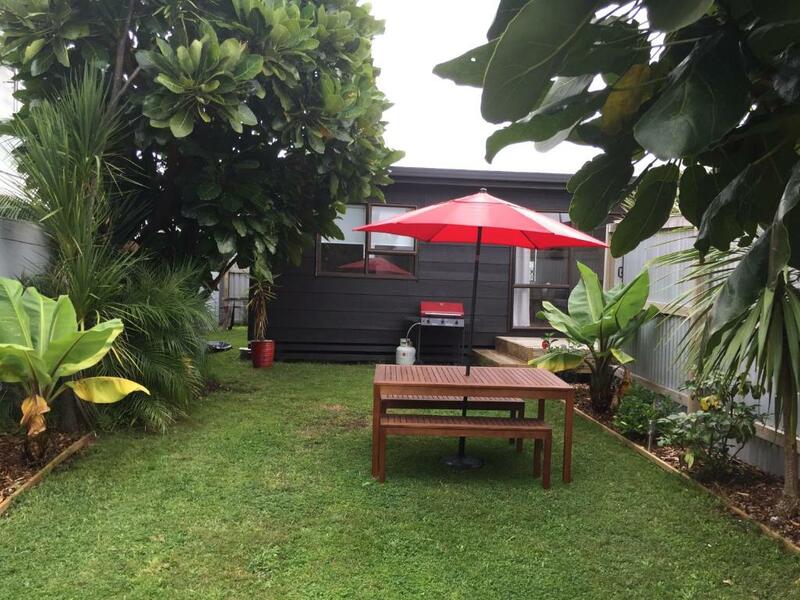 Tucked away with a private garden yet so close to shops and waterside. The place was beautiful and clean with everything you would need provided. The host was lovely and very helpful with anything we needed. The location is very central, very short walk to both the water and the shops. Would 100% stay again, highly recommended. Clean, comfortable, central, private. Very happy with everything. Great for a couple. Good shower! Lovely hosts, and amazing accomodation and experience. The Bach was clean, spacious and well appointed. We enjoyed using the BBQ and having a little yard to ourselves. 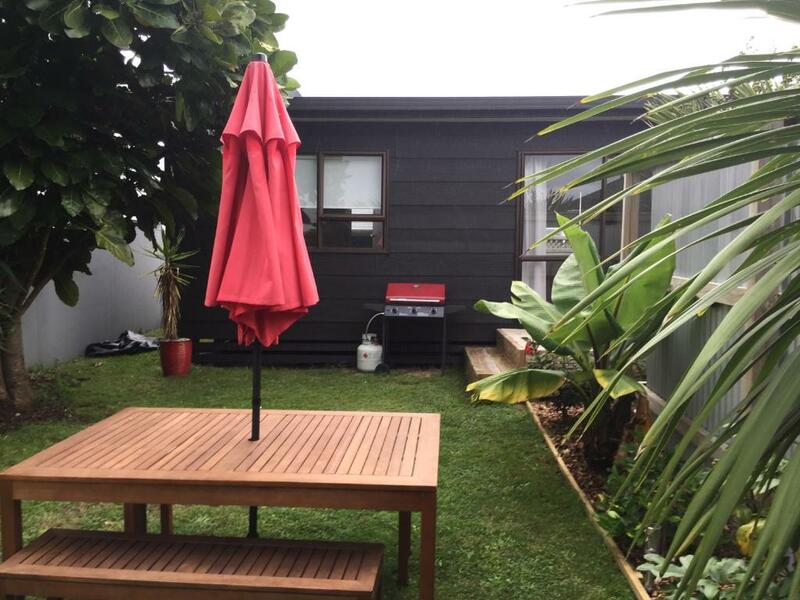 The listing states the property does not have wifi but it does, so don’t let that put you off. The property had everything and more than expected. Host was fantastic and thoughtful. Clean, tidy and up-to-date. Minimalist/beachie aesthetic. Host was very helpful. Location is 2 min walk from main street (which is currently having the pedestrian makeover). 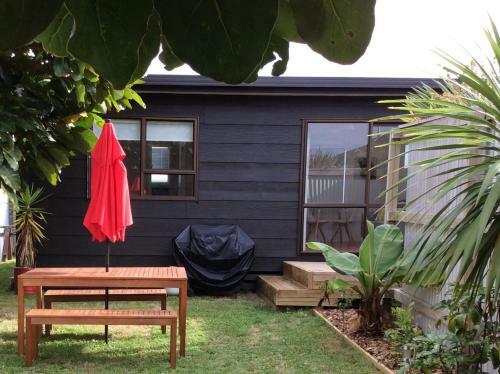 Sweet spot for quick, low-key stopover in Whitianga. Lock in a great price for Evolve Bach – rated 9.6 by recent guests! Evolve Bach is located in Whitianga. This chalet provides accommodations with free WiFi. This chalet has 1 bedroom, a fully equipped kitchenette, a dining area and a flat-screen TV. The chalet also has a seating area and a bathroom with a shower. Coromandel Town is 28 miles from the chalet, while Hahei is 22 miles away. When would you like to stay at Evolve Bach? This chalet has a sofa, toaster and kitchenette. A small park and Marina at the end of street. House Rules Evolve Bach takes special requests – add in the next step! Please inform Evolve Bach of your expected arrival time in advance. You can use the Special Requests box when booking, or contact the property directly using the contact details in your confirmation. The Bach does not have air conditioning and it really heats up during the day. Not really an issue if you’re out but if you plan on spending time in it’s worth considering. There are plenty of windows but no fly screens so you end up with some bugs inside. The water in the shower is very hard, to the point that it feels spiky on your skin. Very cute little bach. Great location, walking distance to everything. Wonderful friendly and helpful host with great communication !! Facilities great- good size rooms, very comfortable bed, great little sunny garden to relax in and great added little extras provided (tea, coffee, milk, bottled water etc). Cooking facilites and dining table kept the cost down also :) Perfect weekend away for two, would definitely recommend and stay again! ease of everything. warm and welcoming host.